Udaipur is one of the 33 districts of Rajasthan. The Udaipur city is located at a distance 403 km from the capital city Jaipur of the Rajasthan state. The Udaipur city is the historical capital of the Kingdom of Mewar and one of the famous tourist destinations in India known for its history, culture and scenic location. 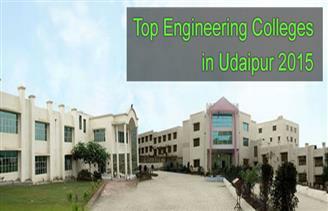 Here in this article we have listed some of the top engineering colleges in the Udaipur district of Rajasthan. The engineering colleges that we have listed in our website are based on several factors these include Infrastructure, placement, quality of education, etc.